← Who was that Masked Flu Avenger? After turning five in January, our youngest daughter finally made to the end of nursery school (“nen-cho,” 年長). Or so we thought. We had heard rumors in previous years that the system might change. It turns out that in this case the rumors were true. The nursery school was becoming a kindergarten. Kind of. Seemingly like everything else concerning children and education in Japan, it’s more complicated than needs be. The classrooms in the top three levels now have desks and movable blackboards (kindergarten is three years long in Japan). Teachers have to keep attendance records (before they would of course contact parents if children didn’t come by a certain time, but now attendance is slightly more codified). Students now study hiragana (one of the syllabary systems of Japanese writing) and learn how to read and write. Simple English is taught using pictures. But the biggest difference is time. Nursery school is run under the 厚生労働省 kousei roudousho, Ministry of Health and Welfare), and normal hours go from 7:30 to 6:30 (some schools run from 7:00 to 6:00). Kindergarten is part of the official educational system, run by 文部科学省 (monbu kagakusho, the Ministry of Education, Science, Sports, and Technology, often called the Ministry of Education or MEXT for short). School ends at 3. So to get permission to leave our youngest daughter at the former nursery school, now the kindergarten, we had to fill out paperwork asking for teachers to take care of her until 6:30 on a daily basis. On the other hand, whereas Saturdays used to be from 7:30 to 3:00, now they run until 6:30 like weekdays. This is likely because, in the Japanese mind, Saturday is a weekday (i.e., a regular workday). Administratively, not much has changed, although I wonder if the school has lost a certain degree of independence. Owned by a local Buddhist temple, it’s the oldest of its kind in the prefecture, outside the prefecture capital. Sad to think that the school just celebrated its 60th anniversary just three years ago, only to see the name change suddenly. So it’s a little confusing. 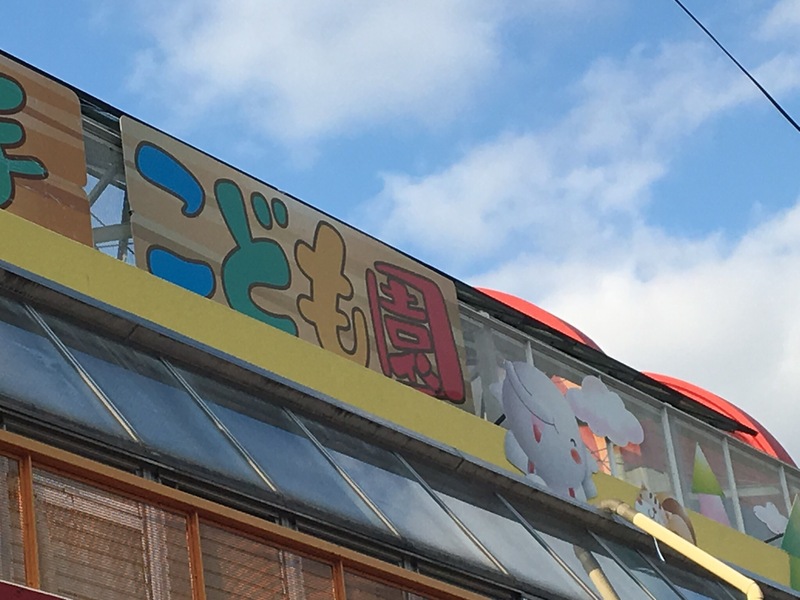 The idea of a combined nursery school and kindergarten is a little strange to most people, and calling the school a “kodomo-en” instead of “hoikuen” takes time to get used to. But at least my daughter is now interested in learning how to read and write. I just hope she still has time to play! This entry was posted in day care, education, Japan, Japanese, Japanese culture, Japanese society, nursery school, school and tagged education, hoikuen, Japan, kindergarten, kodomoen, MEXT. Bookmark the permalink.